Jon Jerde, the architect who sought to make mall shopping more of a "town square" experience, passed away this week. The Society of Architectural Historians has announced a new program that will fund architecture- and landscape-focussed field trips for high school and community college students. We will no doubt remind you again, but mark your calendars for the Paul Rand exhibit at the Museum of the City of New York, opening February 25.
post at MoMA is hosting an online forum based around the exhibition Uneven Growth: Reflections on a Curatorial Practice. Is it appropraite to consume our gods? There is an April deadline to apply for a reseach grant at the UK's unparalleled Wellcome Trust for projects in the medical humanities: applications from artists, designers, and non-academics are, er, welcome. In upstate New York this weekend? Take a hike. Artist Kate Newby, writer Jennifer Kabat, and poet Anna Moschovakis collaborate on site-responsive audio walks in Delaware County. 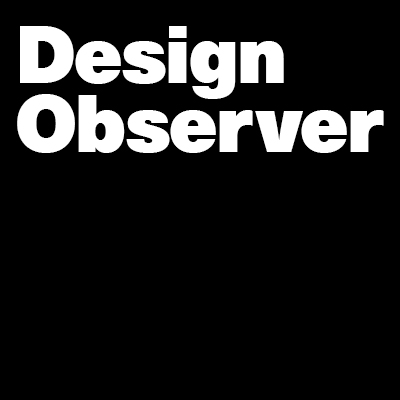 In one week, Design Observer's very first symposium What Design Sounds Like will be held in New York City. Sound is central to a couple of other events this month: the always deeply intriguing Sonic Acts festival in Amsterdam will focus on how human intervention has fundamentally changed the "composition" of the earth, and re:sound in the Bay Area, which tomorrow brings sound artists together with birds during a migration watch on Mare Island, in Vallejo. NYU's Center for Ballet and the Arts announced it's roster of spring fellows, which includes director and puppeteer Basil Twist and Baroque dance scholar Beatrice Massin. Chilean history, the films of Paul Kelly, the miner's strike: Text und Tone books continues to produce some stunners. The unflinching media journalist and memoirist David Carr died suddenly last night in New York. It's a pointless endeavor to choose favorites from his sharp-eyed, -witted, and -tongued works, but back in June he responded no less than eloquently, yet in purely Carr fashion, to a question about his favorite book on journalism here.